➤ A leading manufacturer and exporter on Stone Powder! ● Main products: Calcium carbonate powder for rubber, paper, plastic, paint, glass and ceramic, etc. Our vision: Top 1 supplier on Bangladesh market. ✔ Exploiting reserve is 27.4 milion tons. NHAT THANG VNT7 - Speacializes in manufacturing & exporting Calcium Carbonate Powder: Ultra uncoated powder, Acid stearic coated powder. Ho Chi Minh City Chemical JSC is a manufacturer and exporter of limestone powder with longtme reputation in the market. Our products are applied in: the production ceiling panels, plastic beads (beads taical, filler, masterbatch,..), plastic film and accessories, packaging, rubber, ect. Specialize in exporting CaCO3 Stone Powder with modern technology of Federal Republic of Germany according to ISO 9001:2015. ► Export: India, Bangladesh, Thailand, Brunei, Korea, Japan, Hong Kong, Sri Lanka, etc. With large-scale factory loacted in Yen Bai, Van Phuc company is counted amongst honorable manufacturers of stone powder in Vietnam. Our products serve for many fields, such as: Construction, paper industry, plastic industry, fishery industry, ect. With advanced processing lines, GIA HUY guarantees to bring the best products that respond to all your requirements. Long Vu is a long-standing and prestigious supplier of STONE POWDER with good quality, suitable price in Vietnam and in the world. - Used for: Paper, chemicals, paint, agriculture, aquaculture and so on. Owning one of the the largest Nghe An limestone mines, Tho Hop has been listed as a reliable manufacturer in Vietnam. 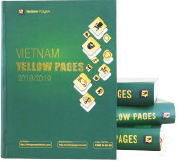 Our products haven been prefered both in Vietnam and in the world. ✔ One of the top Stone Powder manufacturers in Vietnam. ✔ Our products can be used for plastic industry, paint industry, paper industry, etc. ✔ Please contact us, we meet your specific requirements. With the capacity of 150.000 - 170.000 tons per year, we provide Stone powder for many foreign markets. We are proud of being the best provider of stone material, smoothest stone dust in Vietnam. Exporting balance always occupíe over 90 percent of turnover. The top leading supplier of WHITE MARBLE and SUPERFINE CALCIUM CARBONATE in Vietnam! 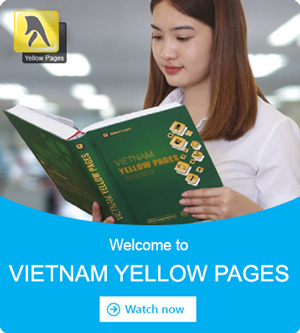 ✔ One of the top leading exploitation and processing companies in Vietnam. ✔ Main products: Super fine CaCO3 powder. - Equipped with 5 hi-productive processing lines, using HOSOKAWA-ALPINE technology. - Operated by skilled and experiences staff and technicians. Having experienced in exploiting, processing and supplying Stone powder, particularly Lime powder, Talc powder, Heavy calcium carbonate powder, Ground calcium carbonate since 1979, Minh Duc Saigon Co. is proud to be the leading supplier in Vietnam. Vietnam International Vision - One of the most potential and powerful exploiters and suppliers of Stone powder in Vietnam. uy Tu company is one of the large scale stone powder manufacturers based in Ha Nam, Vietnam. The company owns two factories with total area up to 7.000m2 and capacity reached 200.000 tons/ year. Main products: CaCO3, Superfine stonepowder, Dolomite powder, lime, so on. Applications: Brick production, paint industry, feed industry, ect. Applications: Plastics, paper, cosmetics, water treatment, oil and gas drilling, asphalt, aquacultural pond treatment, food additives, etc. Over 10 years of experience, Tan Truong Hung has been exploiting and supplying a variety of lime stones for Vietnamese and foreign markets, with a 10000sqm factory of 10000 tons of stone powder and small stones. One of the best manufacturers and suppliers of Stone powder in Vietnam. - Widely used in many agricutural and industrial fields.